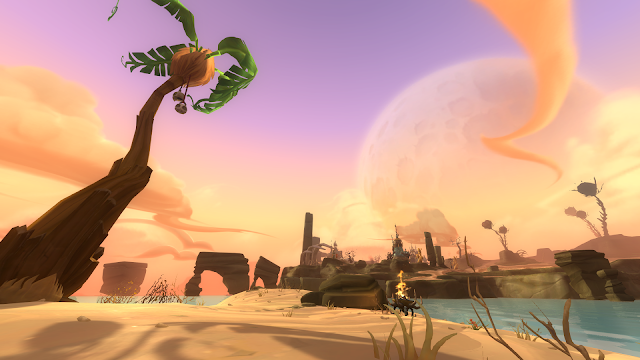 As I've mentioned before, one of the most gorgeous things about WildStar is the scenery. 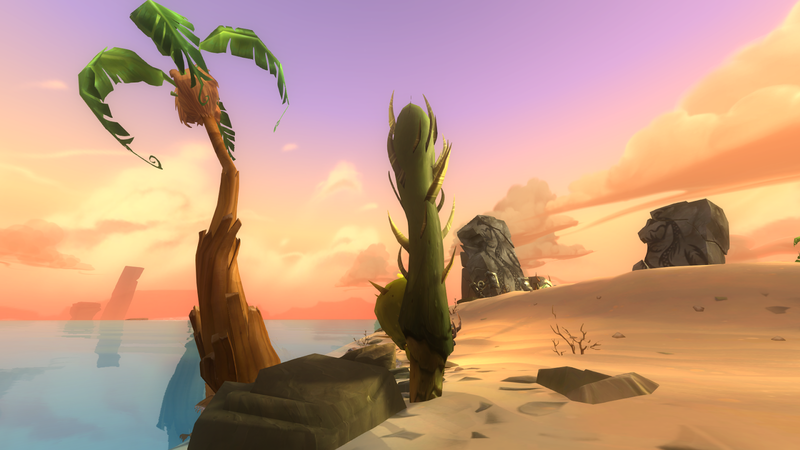 While working on my attunement, I had to go out to an island in Malgrave and fight a big slug guy. The beach there was gorgeous. There aren't very many beach settings in-game, especially since there aren't really mass-water effects for housing plots. So finding a gem like this is worth it. All it needs is a little hut! I really didn't want to leave the island at all, but I needed to so I could work on some of my gaming goals and pass some time. I wish there was an easy way to port back to exactly this spot! Nice. Is that a housing plot, or did I misunderstand? Nope, this is out in the game-world in the Malgrave zone. There are sadly no water building blocks (yet). I love the little things you can stumble upon in the world in various games that the Devs almost want you to find. Like what you see here? Support me on Patreon! Gamer Girl Confessions by Chestnut is licensed under a Creative Commons Attribution-NonCommercial-ShareAlike 4.0 International License..
All games and their related content are Copyright to their original creators. "Your creativity inspires wonder and your tales reminds readers of the sort of stories spoken about in legends."